Gov. 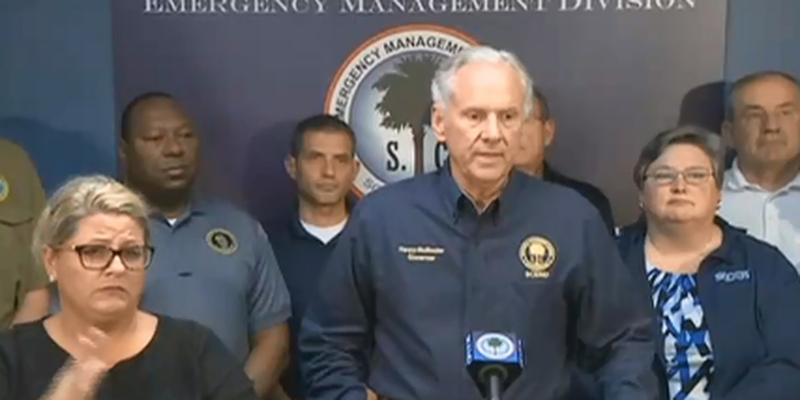 Henry McMaster provides an update during a press conference Saturday at the SCEMD Headquarters. WEST COLUMBIA, SC (WIS) - As Tropical Storm Florence makes it way through the state, Governor Henry McMaster announced that all school closures, with the exception of school in Horry and Georgetown counties, have been immediately returned to local officials. With Gov. McMaster lifting the order for school closures for most counties in the state, Richland School Districts One and Two are expected to announce when schools will reopen on Sunday. "Should schools not open on Monday but it is safe to have lunch services provided for our students, we will continue to provide lunch services at both Dent Middle School and Ridge View High School," Richland Two School Superintendent Dr. Baron Davis. "As conditions continue to improve, we'll continue to assess those conditions by sending out our operations and logistics team as well as our security forces to look at our property and our schools and structures to make sure those places are safe and secure for our students as well as our roads and pathways to ensure our students get to and from school safely."